Europe is the number one travel destination in the world. Especially, the historical cities of the continent attract tourists (at least, before they find the beaches and mountains). The most photographed sights of Europe are familiar for most travelers even they haven’t visited the sites themselves yet. Here is ranking for the top 10 most photographed sights in Europe according to the social media photo service Instagram (via DW). Paris, France. Eiffel tower in morning mist. 1. Eiffel Tower in Paris, France. The Eiffel Tower is the most visited monument in the world that charges a fee from visitors. About 7 million tickets are sold annually, and who knows how many million tourists don’t want to queue up to the lifts but settle for taking selfies on the ground. Don’t start bargaining over the price if someone offers to sell you the Eiffel. It has been sold already – many times. 2. Tower Bridge in London, England. It is the towers standing in the Thames River that make the Tower Bridge stand out from the other splendid sights of London. One might think that Big Ben would be the iconic place to take a photo in London, but the bridge is more popular. La Sagrada Familia, Barcelona, Catalonia, Spain. 3. Sagrada Familia in Barcelona, Spain. Two things, at least, will surprise you if you visit the Gaudi designed church in Barcelona: it is much bigger and impressive than any photo can ever tell, and it is still a construction site. The church is so big and complicated to build that the work started in 1882, and is planned to finish in 2026. In reality, it will never finish because older parts of the building already need renovation work. Nonetheless, it is one of the most remarkable man-made sights in the whole world. 4. Colosseum in Rome, Italy. Tourists may queue up to the churches of the Vatican for hours, but the Colosseum is the most photographed sight in Rome. There was space for about 50 000 spectators in Colosseum in the glory days of Rome (who weren’t there for Russell Crowe). 5. Red Square in Moscow, Russia. The Red Square has been a backdrop in so many movies (especially action films where a hot car chase crosses the square) that it may appear familiar even though you haven’t visited it. Other sights on the sides of the square include St. Basil’s Cathedral, the State Historical Museum, and Lenin’s Mausoleum. 6. Acropolis in Athens, Greece. The remnants of a fortress have been guarding the city of Athens for over 3000 years. It has been a UNESCO World Heritage Site for 30 years. 7. Brandenburg Gate in Berlin, Germany. If the Berlin Wall still existed, it could be one of the most photographed sights in Europe, but it disappeared in 1989. The Brandenburg Gate in Berlin’s center is a majestic sight with beautiful old administrative buildings around it. (Pieces of the Berlin Wall have been retained here and there if you want to have a look how it used to be). 8. Charles Bridge in Prague, Czech Republic. The Charles Bridge is located in a central place in the old town of Prague. Probably every visitor will walk across it. The castle on the other side of the river and the center of the old town on the other side should be on every tourist’s itinerary. 9. Edinburgh Castle in Scotland, UK. Edinburgh is such a lovely city to explore and to photograph that it is surprising that one subject is in everyone’s frame. The Castle on the Castle Hill is difficult to photograph because of its size and location. Tip: in August, the Tattoo event in Edinburgh is remarkable. 10. Atomium statue in Brussels, Belgium. Usually, it is true that if millions of people think a place or a monument is worth visiting, there is something truly remarkable in there. Well, maybe this is an exception. The Atomium statue in Brussels was constructed for the 1958 World Fair. What’s wrong with taking a selfie in front of Manneken Pis in the city center? View travel photograph galleries by travel writers here. 2017-05-16 by Jan in Photography. Tags attraction, Europe, instagram, photo, selfie, sight, tourist. People who live in the far north, for instance, in Scandinavia have to cope with different environment than, say, people in Italy or US. This inevitably leaves its mark on local cultures and customs of each region. If you are planning a journey to Finland, here are ten tips that help you explore the country and communicate with locals. Otherwise, you may wonder for the whole duration of your trip why didn’t anyone speak to you or why did locals eat reindeer. 1. Reindeer is not the national dish of Finland. In Lapland (the northernmost region of Finland, Norway and Sweden), however, reindeer is daily food. A few restaurants in the capital Helsinki have reindeer on their menus, and meat is available in large grocery stores. If you want to taste reindeer, here is a tip: try the smoked reindeer first. It is a delicacy that practically every meat eater loves. After that, if you are adventurous, try the traditional fried reindeer with mashed potatoes. More tips for touring and eating in Helsinki in this book. 2. Helsinki is the most popular tourist destination, but there are other places worth a visit. Finland´s capital Helsinki draws the country’s biggest tourist crowds, especially, in summer. Visitors who are looking for natural landscapes, peace and quiet or adventures head to Turku archipelago, Lapland or lake district in eastern Finland. 3. Mobile networks in Finland have a wide coverage, and they are among the fastest and most economical available. Roaming costs both for voice calls and Internet data are easy to avoid by getting a prepaid SIM card from a R-Kioski shop (it is like a 7-Eleven) and inserting the local card to a smartphone. If you want to find a free Wifi access point, look for a hamburger restaurant, like Hesburger or McDonalds, a shopping mall, or an access point in the center of Helsinki provided by the city. 4. 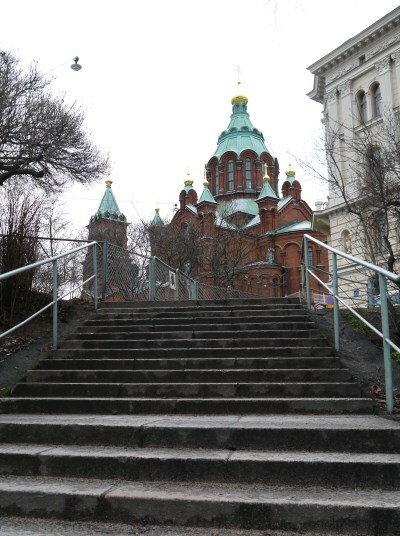 Russian influence is evident in Helsinki, but don’t tell it to the locals. Until 1917, Finland was Russia’s territory. Hundred years earlier, when Russia had won Finland from Sweden, the capital was moved from Turku to Helsinki. The new capital needed administrative buildings, university and proper infrastructure. That’s how Helsinki’s uniform city center around the Senate Square was established. Today, excellent Russian restaurants can be found in Helsinki, and plenty of business is conducted with Russians. A visitor should never question if Finns are eastern or western Europeans: Finland wants to belong to the west. Read more about Finland’s history between the east and the west. 5. Midsummer turns Finland’s cities into ghost towns. Midsummer is no ordinary fiesta in Finland. The sun doesn’t set at all in the north, and in southern parts of the country there is enough light to party through the night without artificial lights. The thing is that locals escape to the countryside and into deep forests to celebrate the Midsummer. Shops and restaurants are closed, leaving only innocent tourists roaming on empty city streets. 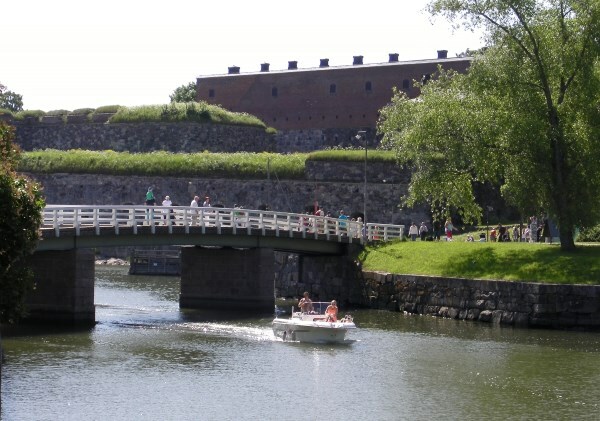 If you happen to be in Helsinki during Midsummer, take a boat ride to Suomenlinna fortress or ferry to Tallinn in Estonia. Other places to visit are medieval town of Turku where an old castle stands by the sea, or the medieval castle in Hämeenlinna by a lake. 6. Leave your cheque book home. The preferred way to pay in Finland is a debit or credit card that has microchip for added security (chip card). The only alternative is cash (Euros). The overall price level in Finland is higher than in Continental Europe, but somewhat lower than in neighboring countries Sweden or Norway. The price of Big Mac meal was 6.50 Euros in 2015. 7. You will not a see single reindeer or elk. Reindeers live only in Lapland where it is easy to find them and photograph animals even in selfies. The only town where reindeers occasionally visit is Rovaniemi because they organize reindeer races. A large elk population roam in forests across the country, but you would have to be extremely lucky to see one. 8. Finland is a bilingual country. Both Finnish and Swedish are official languages in Finland. This is the reason why street signs in Helsinki and in other coastal towns are in Finnish and in Swedish. Children learn both languages at school, but still, English is the foreign language that Finns know the best. 9. Finns follow the rules. If you see a pedestrian waiting for the pedestrian traffic light to change to green, even though there are no cars in sight, you are looking at a local person. More than 600 000 people live in Helsinki . and more than a million in the metropolitan area, but the city is a safe place. In summertime, public drinking in parks and streets may surprise visitors, as well as Finns’ fairly natural way of dressing, but you should excuse them because of the short summer that they enjoy from the bottom of their hearts. 10. The top sights in Helsinki are not the Sibelius statue or Olympic stadium. Don’t waste your time, but head to Suomenlinna (a beautiful island fortress outside the city), Temppeliauko Church, also known as the Rock Church, or Ateljee Café at the top of hotel Torni. If you have time, take a hike in Nuuksio wilderness (only 30 minutes from the city) or get an invitation (or rent yourself) a cottage by a lake and enjoy the summer the Finnish way. More tips in the book The Lighter Side of Finland. 2015-11-24 by Klaava in Finland. Tags elk, Helsinki, history, reindeer, sight, tourist, Turku. Your smartphone knows where you are, because its GPS receiver can calculate your location. Now that your phone knows exactly in which street corner you are standing, it could tell you something about nearby places and sights as well. That’s exactly what Google Field Trip application does. The Field Trip is available for iOS (iPhone, iPad), Android (for instance, Samsung, LG, HTC, Motorola) and Google Glass devices. The app is free, but you will have to give all your personal information from your phone and location information to Google (you won’t notice it, but the app asks for permission for it and then does it in the background). 1. Let the app determine your location and provide you with information cards about nearby places and sights. Obviously, this is a handy feature when you are standing in a street corner of a strange city and have no idea what to do next. 2. Search a specific place, and let Field Trip tell you what type of sights exists there. A useful feature if you are pondering if, for instance, Grasse in Southern France is a town worth visiting (it definitely is). The Field Trip app has been around for a while already, but recently an interesting development was announced. Europeana, the digital archive of Europe’s cultural heritage, provides information on Europe’s cultural destinations directly to the Field Trip application. The first step was to add cultural information from Sweden (view a travel guide here), Poland and Estonia to the app. Europeana writes: “Three Europeana partners – the Swedish National Heritage Board, the National Heritage Board of Estonia and the National Heritage Board of Poland – joined the pilot to share their curated and enriched collections. Their datasets are now available in the app history feed and guide tourists to beautiful and prominent historical buildings and monuments in Estonia, Poland and Sweden. Europeana is seeking co-operation with other European cultural institutions. More information here. 2015-03-29 by Klaava in Europe. Tags culture, Europeana, Field Trip, Google, heritage, sight.